It makes the Caterpillar P-5000 Work Loader look like a child's toy. We won't have to wait much longer for our Robotech future. South Korean robotics manufacturer Hankook Mirae Technology debuted its first prototype piloted mech over the weekend. Say hello to the Method-2. 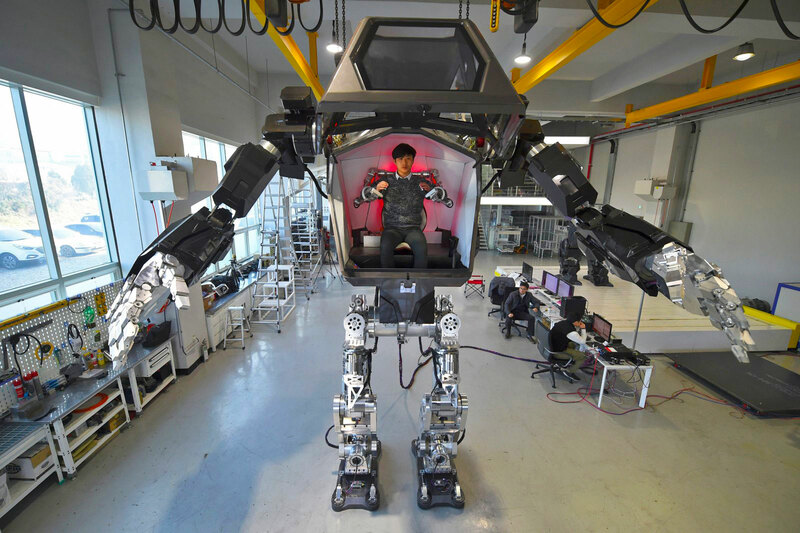 It stands 13-feet tall, weighs 1.3 tons and wields a pair of 286-pound, motion-tracking metal arms. "Our robot is the world's first manned bipedal robot and is built to work in extreme hazardous areas where humans cannot go (unprotected)," company chairman, Yang Jin-Ho, said in a prepared statement. The company has spent upwards of $200 million since 2014 to develop the mech with the help of Hollywood SFX designer, Vitaly Bulgarov, whose credits include Transformers, Robocop and Terminator. The Method-2 itself likely won't be employed in the field anytime soon. Instead, the giant machine will serve as a testbed for emerging mech technologies. Future iterations, however, could find use in everything from construction and cargo loading to military and SAR operations.